Internships/Apprenticeships are on-the-job training opportunities. Some pay hourly wages or stipends, while others simply provide room and board for your commitment. Internships/apprenticeships are great ways to get your foot in the door, and to begin to understand what a career in agriculture would be like. There are many ways to access internship/apprenticeship opportunities including, contacting farms in your area to inquire whether they are looking for an intern. Local land-grant universities can be useful resources for locating and securing an internship/apprenticeship. The ATTRA website has up-to-date sustainable agriculture internships/apprenticeship opportunities nationwide. The Farmer Veteran Coalition also has an up-to-date database of internship/apprenticeship opportunities, including opportunities specifically for Farmer Veterans. Incubator farms focus on bringing beginning farmers into the production agriculture industry. Many of the people who come to incubator farms have no experience in agriculture. In many cases, participants are provided a small plot of land on a larger farm, where they have access to farm equipment and materials, as well as the opportunity to observe techniques used by others to yield a successful crop. Incubator farms foster a community where new farmers learn from each other. Programs will often assist participants in finding local markets to sell their product. Incubator farms offer a chance to start your own farm without a large amount of capital and begin recording and filing farm income — a process that is crucial to securing loans. Please contact The Farmer Veteran Coalition for farm incubator opportunities in your area. Operated by the Center for Land-Based Learning, this innovative program and farm business incubator teaches and mentors new farmers in agricultural production, business planning and marketing of specialty crops. Limited dairy, poultry and livestock classes will be offered in 2013. CFA’s nine-month program takes place on a part-time basis, with classes held on evenings and weekends, 2-3 days per week. 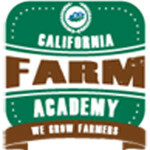 The CFA training program consists of classes, hands-on experience, farm visits and other field trips. CFA students develop farm business plans, which are suitable to present to a loan officer and help guide farm setup, operations and management decisions. Each student also has an independent study project that focuses on specific farming and marketing goals. Classes are led-by-the program staff, farmers, college and university instructors, and agricultural, natural resource and agriculture business professionals. The CFA farm business incubator consists of farmland for lease to qualified graduates of the training program. Plots of land (some organic) will be available at the Center for Land-Based Learning or at other sites. Farmer mentors and program staff will continue to train and guide CFA incubator farmers as they grow and market their own product. CFA is dedicated to training, mentoring and providing access to land for motivated, hard-working farm entrepreneurs. Please call or check the website, CaliforniaFarmAcademy.org for additional details or an application. 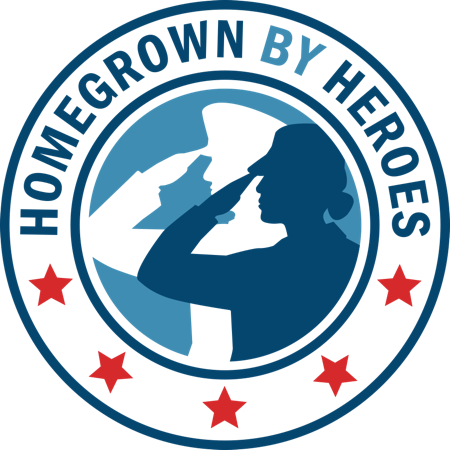 This project provides training and apprenticeships for veterans of the wars in Iraq and Afghanistan on organic farms and artisan food businesses in Northern California. Veterans are matched with businesses based on their interests and the farm’s need. Through grant funding, FVC is able to work with the farms to provide paid apprenticeships for the veterans. Along with the opportunity for education and training, is rejuvenation from working with the land that can help heal the wounds of war and other traumas veterans may face. Northern California was selected as a pilot for Growing Careers in Agriculture. The farm training and employment opportunities utilize the region’s product diversity and abundance of established organic farms, creameries and other small farm businesses. The apprenticeship opportunities range from 3-6 months with the end goal of employment in the agriculture field. This project is made possible by individualized case management by Farmer Veteran Coalition staff. The FVC team seeks to combine education and training while offering a chance for reflection and personal growth that helps smooth the transition from the military to civilian life. The Farmer Veteran Coalition plans to extend Growing Careers in Agriculture to other regions of California. The agriculture field provides many viable career opportunities, and apprenticeships are just the beginning. Veterans Farm was founded by Adam Burke, an OIF combat veteran. The farm is located in Jacksonville, Florida where they grow blueberries and peppers in containers; which allows the farm to be wheel chair accessible. Currently, the average age of a farmer is between 60-65 years. For every 3 farmers retiring there is only 1 farmer taking their place. Veterans Farm believes that our returning veterans can help fill this gap in the farming industry. With an approximate suicide rate of 18 veteran deaths per day, as well as a lack of successful reintegration programs, Veterans Farm also recognizes the need for new ways of treating Post Traumatic Stress Disorder and Traumatic Brain Injuries. In 2012, Veterans Farm started a fellowship program to assist Post 9/11 disabled veterans start a career in agriculture. Veterans Farm fellows were once soldiers on the battlefield with a mission to protect our country from harm. Now, they stand ready for a new mission here at home. Instead of being armed with tanks, these veterans need tractors. Instead of being armed with an M-16, they need plows. Veterans Farm uses a “Prescription without Medication” approach through a horticulture therapy program. During the 6 month fellowship program, veterans will learn to harness their military leadership skills, and apply them to becoming successful entrepreneurs. Each veteran is expected to work hard and to challenge themselves. Through hard work, strengths are refined, and weaknesses are tested. Veterans will learn everything from executing a business and marketing plan, to learning how to farm organic fruits and vegetables. Each veteran who graduates from the fellowship program is expected to start a farming program in their own respective community. Using the Veterans Farm model, these veterans will hire additional veterans in their own state and community, to teach what they have learned from the Veterans Farm fellowship program. The goal of the Veterans Farm fellowship program is to create a domino effect throughout the country, and to equip veterans with the agricultural skills they need to be successful farmers.